A stream of meteors believed to be leftovers from Halley’s Comet is expected to streak across the skies this week, but a full harvest moon will compete for attention and may obstruct some of the show. 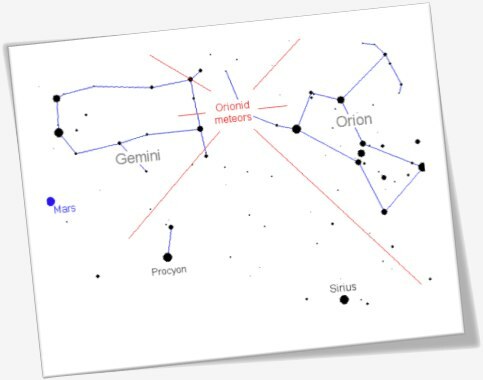 The meteors are called the Orionids because they appear to shoot from the second-brightest star in the Orion constellation, or from the hunter’s elbow. On Oct. 20-22, observers in the Northern Hemisphere may see around 20 meteors per hour at maximum, while observers in the Southern Hemisphere may see around 40 meteors per hour. The radiant of the shower will be observed north of Betelgeuse, the brightest star in the constellation Orion, the Mighty Hunter. The annual show usually happens from Oct. 17 to Oct. 25, and this year it’ll peak before dawn on Thursday. But that’s also when a full moon will appear over North America, perhaps dimming the light of the meteors. So the best viewing times should be earlier in the week, when the moon isn’t as bright. The best places from which to view the meteor shower are in locations with no light pollution. For more information, visit http://science.nasa.gov/science-news/science-at-nasa/2009/19oct_orionids/. After 10 weeks in a dark, hot purgatory 2,000 feet underground, the first of 33 trapped miners were hoisted to freedom early Wednesday, Oct. 13, a rescue marking the beginning of the end of a drama that captivated people worldwide. On Aug. 5, the San José copper and gold mine near the northern town of Copiapó, Chile, collapsed, trapping 33 miners about a half mile underground. The Chilean government spoke with the United States Department of State to request NASA’s technical advice related to the agency’s life sciences research activities. On Aug. 31, a NASA team of experts arrived in Santiago as part of NASA’s commitment to provide U.S. assistance. NASA’s assistance is only a small contribution to the Chilean government’s overall rescue effort. On Sept. 1, the team began three days’ worth of meetings in Copiapó.The NASA team includes two medical doctors, a psychologist and an engineer. Dr. Michael Duncan, deputy chief medical officer in NASA’s Space Life Sciences Directorate at NASA’s Johnson Space Center in Houston, led the team. The other team members are physician J.D. Polk, psychologist Al Holland and engineer Clint Cragg. NASA’s long experience in training and planning for emergencies in human spaceflight and its protection of humans in the hostile environment of space may have some direct benefits that can be useful to the rescue. Environments may very well be different, but human response both in physiology and behavioral responses to emergencies is quite similar. Some of the results acquired through NASA’s research may be applicable to the trapped miners. President Barack Obama welcomed NASA Administrator Charles Bolden and a NASA team that assisted trapped Chilean miners to the Oval Office on Thursday for a ceremony that recognized Americans involved in the rescue. After the White House event, Bolden and Deputy Administrator Lori Garver presented NASA’s Exceptional Achievement Medal to five agency employees who supported the rescue effort. The NASA Exceptional Achievement Medal is awarded for a significant, specific accomplishment or substantial improvement in operations, efficiency, service, financial savings, science, or technology that contributes to NASA’s mission. – Clint Cragg, principal engineer for the NASA Engineering and Safety Center at the Langley Research Center in Hampton, Va. The employees from Johnson and Langley traveled to Chile Aug. 30 – Sept. 5 and visited the mine after discussions between the Chilean government and Condes. The team consulted with a number of organizations in Chile, including the Ministry of Health, Ministry of Mining, the Chilean Navy and the Chilean Space Agency. NASA provided technical advice to the Chilean government based on the agency’s long experience in protecting humans in the hostile environment of space. NASA’s initial support included recommendations on medical care, nutrition and psychological support. The request for later NASA support was broadened to include recommendations on the design of a Chilean vehicle used to extract the miners. Consultations continued between members of the NASA team and Chilean government officials until the miners were rescued. It’s been a year since LCROSS heroically impacted the moon in search of water. 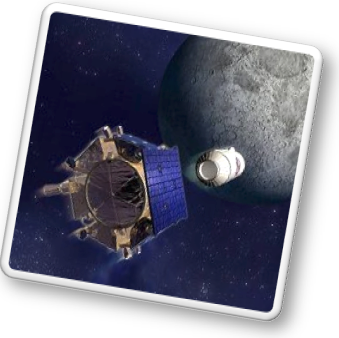 The results of analysis of the impact of LCROSS on the moon have been in the news recently. You may have seen pieces on the news or read about water being discovered on the moon. On Wednesday, Nov. 3, your students will have a front row seat as Principal Investigator Tony Colaprete and Co-Investigator Jen Heldmann reveal their surprising and exciting findings! You’ll have the chance to ask questions and hear these scientists answer them directly during a 50-minute webcast. Don’t be left out of participating in this unique opportunity. Check your ability to connect to the webcast by going to the “how to” page. Link to the NES Virtual Campus website. Call for Proposals: NASA is seeking formal and informal education institutions and organizations, individually or working together, to host a live, in-flight education downlink during Expeditions 27 and 28 (approximately from March to September). To maximize these downlink opportunities, NASA is looking for organizations that will draw large numbers of participants and integrate the downlink into a well-developed education plan. The deadline to submit a proposal is Dec. 3, 2010. Opportunity: During Expeditions 27 and 28, crew members aboard the International Space Station will participate in downlinks. Downlinks are approximately 20 minutes in length and allow students and educators to interact with the astronauts through a question and answer session. A downlink is a modified video conference in which participants see and hear the crew members live from space, but the crew does not see the audience. Downlinks afford education audiences the opportunity to learn firsthand from astronauts what it is like to live and work in space. 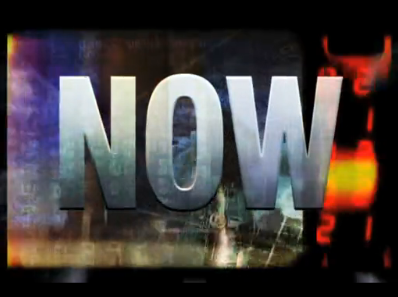 Downlinks are broadcast live on NASA TV and are streamed on the NASA website. Because of the nature of human spaceflight, organizations must demonstrate the flexibility to accommodate changes in downlink dates and times. Interested parties should contact Teaching From Space to obtain information related to expectations, content, format, audience, application guidelines and forms by sending an e-mail to JSC-Teaching-From-Space@mail.nasa.gov or calling 281-244-7608. Nearly a year after announcing the discovery of water molecules on the moon, scientists have revealed new data uncovered by NASA’s Lunar CRater Observation and Sensing Satellite, or LCROSS, and Lunar Reconnaissance Orbiter, or LRO—and it’s more than just water. 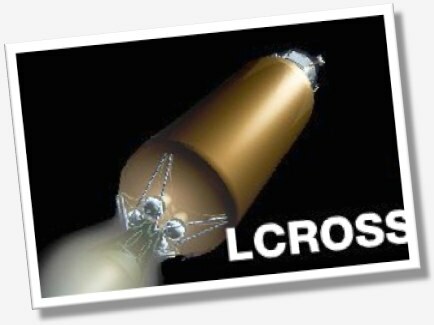 For more information visit the LCROSS website. Watch this week’s episode of NASA Now and learn about a mission proposal to send a satellite to Jupiter and its moons Europa and Ganymede. The mission will map the Jovian magnetosphere and its interactions with the Galilean satellites. The mission will characterize water oceans beneath the ice shells of Europa and Ganymede, as we search for signs of life elsewhere in the universe. To mark an unprecedented flurry of exploration which is about to begin, NASA announced recently that the coming year will be “The Year of the Solar System” (YSS). Tthe action begins near the end of October 2010 with a visit to Comet Hartley 2. On Oct. 20th, Hartley 2 will have a close encounter with Earth; only 11 million miles away, it will be faintly visible to the naked eye and become a splendid target for backyard telescopes. Amateur astronomers can watch the comet as NASA’s Deep Impact/EPOXI spacecraft dives into its vast green atmosphere and plunges toward the icy core. On Nov. 4th EPOXI will fly a mere 435 miles from Hartley’s nucleus, mapping the surface and studying outbursts of gas at close-range. The Year of the Solar System concludes in August 2012 when Curiosity, a roving science lab scheduled to launch in November, lands on Mars. The roving nuclear-powered science lab will take off across the red sands sniffing the air for methane (a possible sign of life) and sampling rocks and soil for organic molecules. Curiosity’s advanced sensors and unprecedented mobility are expected to open a new chapter in exploration of the Red Planet. 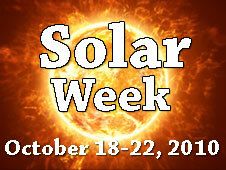 Twice a year, Solar Week provides a weeklong series of web-based educational activities for classrooms about our magnetic variable star, the sun, and its interactions with Earth and the solar system. The goal of Earth Science Week is to encourage students, educators and the public to explore the natural world and learn about geosciences. During this installment of NASA Now, you’ll see some of the ways NASA studies Earth. You’ll meet Eric Brown de Colstoun, a physical scientist at NASA’s Goddard Space Flight Center in Greenbelt, Md. He describes his work on a NASA project called the Earth Observing System. The EOS consists of a number of satellites measuring the properties of Earth. The remotely sensed electromagnetic data from these satellites are used to examine physical and chemical processes of the Earth system. This allows for a better understanding of climate and climate change, weather patterns, fresh water availability, and other global and local concerns.